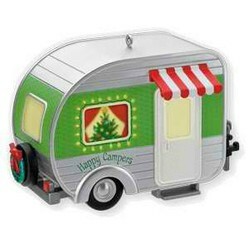 When shopping for rv gifts, consider a camper ornament for an rv christmas gift. It is something we rvers wouldn't buy for ourselves, and there are so many to choose from! 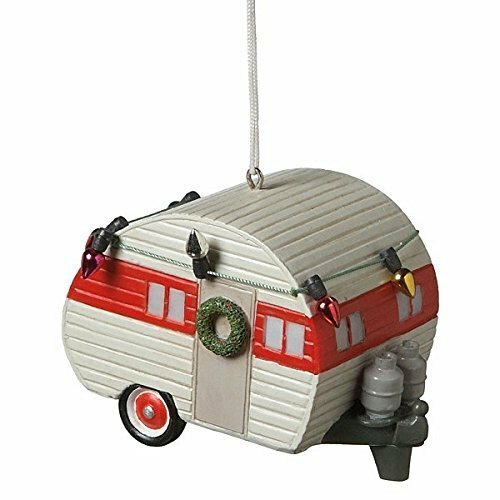 RV ornaments are too cute...even if you don't have an rv! At holiday time, treat your happy camper to an ornament with a 5th wheel, pop up, motorhome, travel trailer or any recreational vehicle style you think they would like. We rv full time and don't have a Christmas tree, of course - no place to put it. But we have received ornaments that we love and we hang them on the wall as decor. For rvers who don't hit the road full time, it makes a thoughtful gift during the holidays. You could even go all out and get them a little tree, with some camper ornaments on it for real holiday spirit. 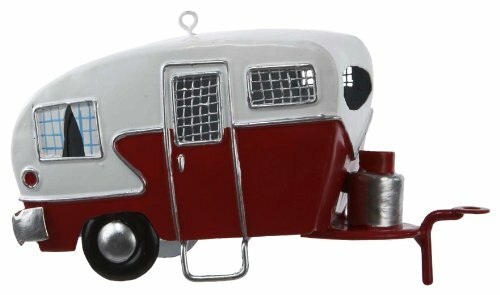 Take a look at these camper ornaments and have fun! As full time rvers, we know all too well how hard it can be to find an rv gift...and with holidays right around the corner, you're probably recognizing this, too! Don't despair...there are many great gift ideas for rv owners out there. 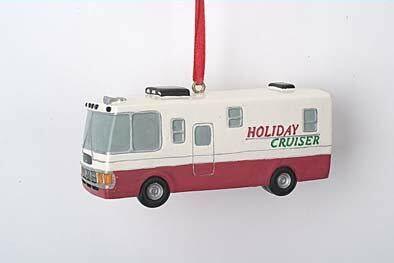 The best part about an rv ornament is that it is a forever gift. It isn't a gadget or money that disappears immediately...it is something to be kept for a lifetime. Every holiday your gift will be displayed and it is a reminder of your love and/or friendship. 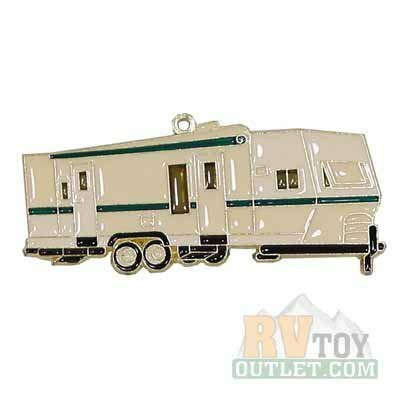 TYPE OF CAMPER: One option is to find a travel trailer, 5th wheel, motorhome or pop up camper ornament, etc. that matches his/her particular rv. This will limit you in selection options, but perhaps the rver on your list would most enjoy a gift that is just like the one in the driveway. 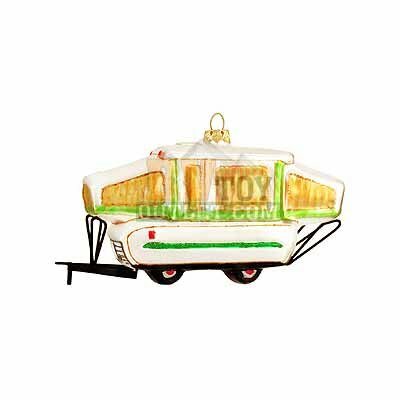 COLLECTIBLE: Perhaps you are looking for a collectible Hallmark ornament for the camper on your list. These are wonderful gifts because they tend to go up in value. Be sure to look at some of the collectible ornaments featured in this article. You'll be amazed at how their values have escalated. ARE THEY PART OR FULL TIME RVERS? 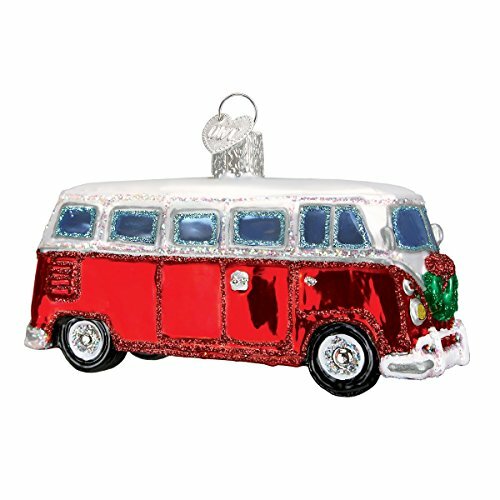 : If the person you are shopping for likes to rv part time, but has a home and generally rvs just for camping getaways, then any ornament will do because he/she most likely has a tree each year. However, the full time rver usually does not. This is not to say those with large motorhomes don't put Christmas trees inside, but there isn't room in your average camper. So think small! As musicians, we received two adorable little guitar ornaments, and we hang them up all year. But a large or fragile ornament would not be suitable for us. The colorful ornaments you see above are affordable and absolutely for sale. But the great part about them is that you can go in and change their color, style, font, message...even upload a photo. 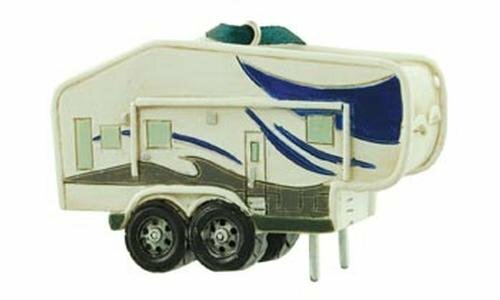 So if you are the creative type, have fun with designing your OWN rv ornament for the rver on your list. 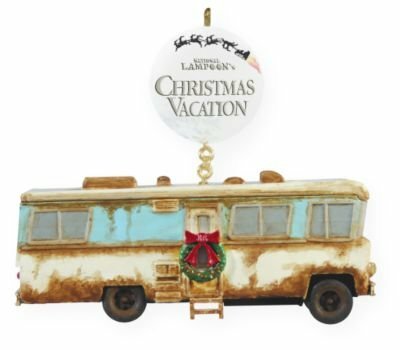 The Incredibly Collectible "Cousin Eddie's RV Ornament"
Look At The Buying Price On This Christmas Vacation Ornament! Find One To Match Their Rig! To many people who don't go rving, every vehicle is an "rv" or a "camper." Boy did we have a lot to learn when we first started living this lifestyle. When someone says "motorhome" there are many classes, such as the A that looks like a bus, B which looks like a van, etc. 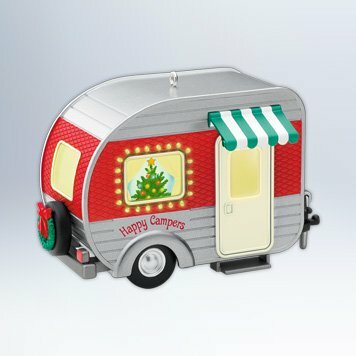 That doesn't even include travel trailers of all lengths/sizes, pop up campers, 5th wheels...so if you're going to buy an ornament that matches, be sure you know the rv type they have. 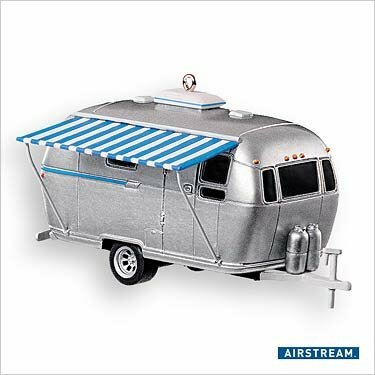 Sometimes, like with the Airstream, you can get lucky and find ornaments that are the exact make and model! No matter which ornament you choose, we rvers know the time and thought you took to give such a personalized gift (rather than a fruitcake). It will be appreciated and a present that will be used every year. Happy Holidays! Have fun gift-giving with National Lampoon's Christmas Vacation t-shirts, moose mugs, DVD's and more. Even find Cousin Eddie gifts for the National Lampoon fan. Oh my word. I don't have an RV, but those are so cute that I want one for my tree. Adorable!